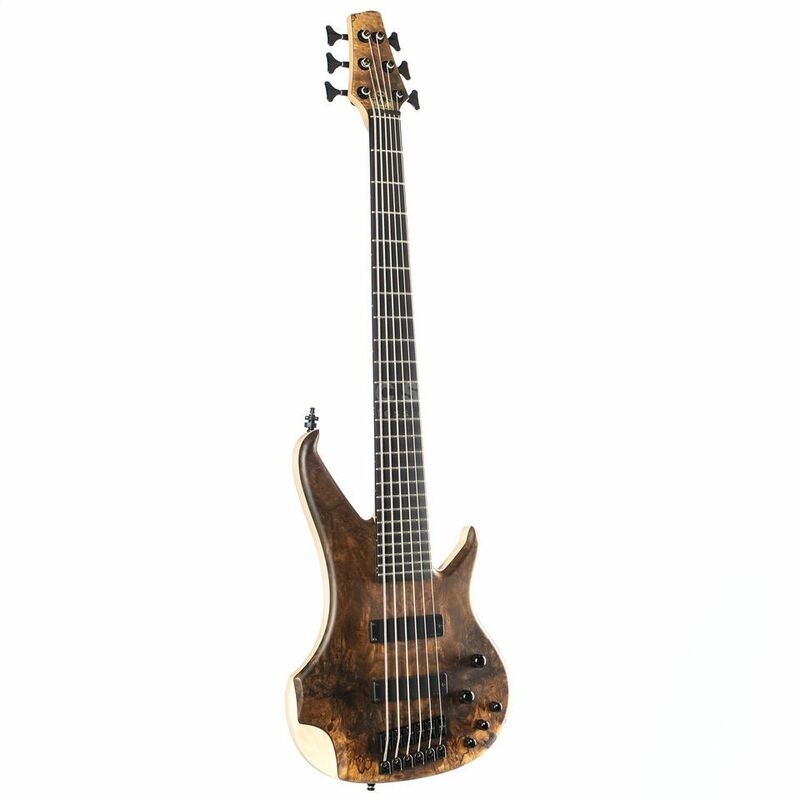 The Human Base Max 6 6-String Bass Guitar Natural features a neck-through-body design carved from Canadian Birdseye Maple with an Ebony fretboard and select exotic wood top. The five-piece neck-through construction is extremely stable producing a solid tone with long sustain. Other features include an Ebony fretboard with 24 frets, two Bartolini pickups and two-band active-electronics.